Display Metrics India Pvt Ltd, a start-up in the business of data analytics and metrics for OOH advertising, unveiled its project roadmap to the Indian OOH leaders at a launch event held in Mumbai on January 17. 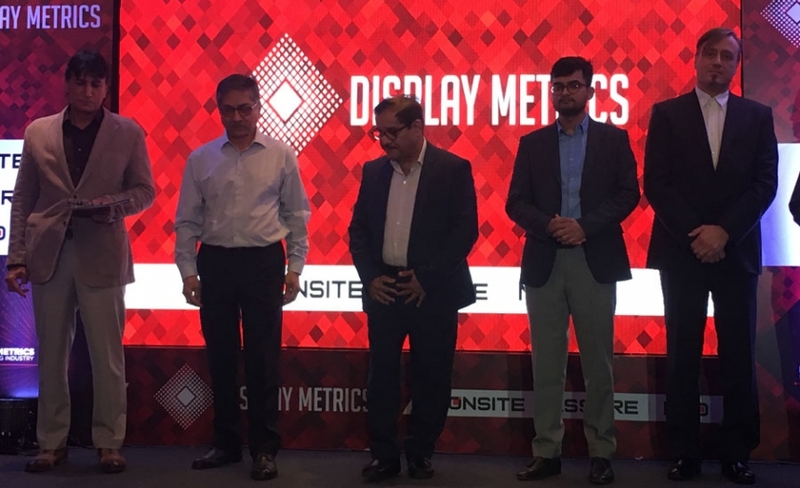 Display Metrics has teamed up with Czech Republic-based MGE Data and the Indian arm of IPSOS to develop Metrics for Out-of-Home Displays (MOD) and other service offerings for the Indian OOH industry in a pact with the Indian Outdoor Advertising Association (IOAA). Display Metrics has had deep discussions with global industry councils and leading players like JCDecaux, Kinetic Worldwide, Posterscope, and UK’s Route Research for key takeaways from their own respective experiences with developing or using OOH audience metrics. At the launch event, Noomi Mehta, Chairman, IOAA said in his opening remarks that “for any medium to realise its true value, it is important to speak the same language as our customers”. The joint industry audience measurement would have a significant positive cascading impact on multi media planning, media auditing & procurement, cost (CPT), econometric modelling in relation to ROI, and aspects like media viewability and viewed impressions. • Mapping entire inventory data of target markets – through street by street survey, recording of the same on an app, and using GPS coordinates. • Validation of the data. • Weekly monitoring of displays on each site. • Identification of brand displays on the sites, and classification of the brand displays as per categories. • Publishing standard adex reports (through its ONSITE service offering) – the reports will be available in standard formats, while the clients may be also have customised reports. In addition they will data access. • Establishing site monitoring (through its ASSURE service offering), with the back-end teams analysing every monitored visual real-time; in doing so they will be able to bring to the attention of site owners any issues related to the displays.